At least a lot of it is educational! Other than playing Angry Birds Space as much as I would let them, the kids enjoyed a show we just discovered on Netflix called How It’s Made, working on reading and spelling with Reading Eggs, and playing favorite educational iPad apps like ABC’s of God and the TeachMe series of apps (linked to my post about these apps). 2. Miss M reading her “assigned reading” for the week outside — “The Minstrel in the Tower.” I ordered it from the library what seems like months ago…but I guess they only have one copy and it took a while for our turn to come up! 3. 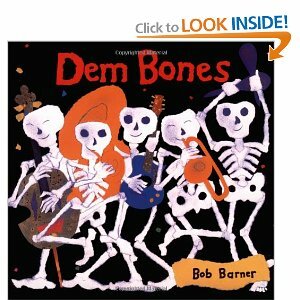 Miss M rediscovered a number of picture books and easy readers this week in addition to her usual selections of chapter books. She read all the books in the picture one morning before we got started with school at 9:15am! 4. All the pieces for the Horse lapbook are complete! I had hoped that I could help Miss M assemble the book today, but we didn’t quite get to it. Maybe this weekend! 5. Love this shot of the boys, still in their PJs, using their binoculars to watch a “working truck” dig a hole up the next block. Too bad I couldn’t get the truck in the picture too. We had a good time speculating as to why they were digging a hole in the grass near the road. I finally got to pull out my Atlas of Discovery I happily found a while back at a book sale as we read about Magellan in MOH III. Miss M worked on 4 digit subtraction problems with and without the abacus for math. She decided that 4 digit on paper is much easier than two digit mentally — I think I have to agree! Early in the week, she dictated a “newspaper article” to me about last week’s tree stump painting project, which I typed. I then had her copy it in her own handwriting — it turned into about 7 pages of her large-ish handwriting! After finishing that yesterday, she still wrote her cursive Bible verse for the week today. 7. Happy 5 months old today to Baby J! He’s 17 lbs now, and is learning to sit up on his own. 8 & 9. Sometimes, a mama just needs a pastry. Not knowing any pastry delivery services, we finished up school today in short order, and headed for a neighborhood grocery store where I could both grab a couple items I needed and treat all of us to donuts. Aren’t the kids silly? It was a bit chilly while we were eating outside the store – I think Baby J was a little cold! After our treat, we went to a fundraiser rummage sale at a nearby church, then headed home for a fun afternoon…of more Angry Birds once the chores were done! Have a wonderful weekend! I am looking forward to another weekend with a forecast in the 70s…hopefully I can get my editing done so I can get out to enjoy it! 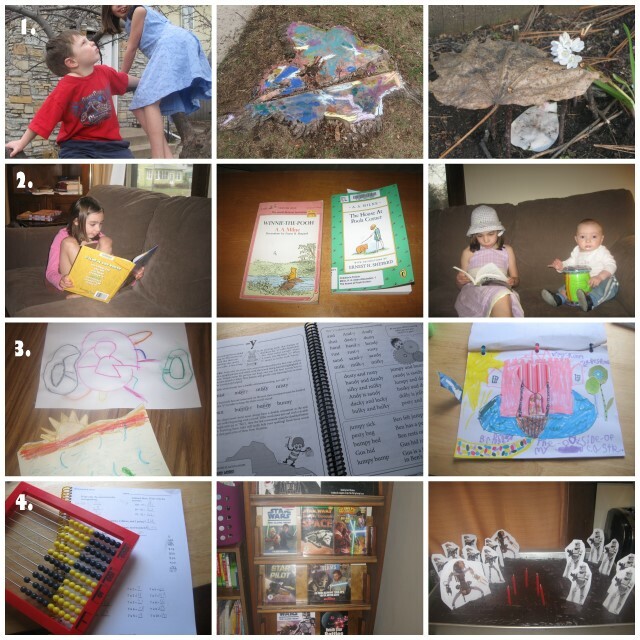 I’m linking up with Collage Friday @ Homegrown Learners and the Weekly Wrap Up at Weird Unsocialized Homeschoolers. Miss M and I just finished Adam of the Road by Elizabeth Janet Gray as a bedtime read aloud. I added “Adam” (the 1943 Newberry Award winner) to our read aloud list for the year to correspond with our history studies. However, I didn’t quite move it to the top of the list soon enough. We passed by the 1200’s in history at least a couple months ago. Adam of the Road follows the journeys of Adam, the son of a minstrel and a budding young minstrel himself, in late 13th century England. Adam travels first with his father and dog, and then alone, as his two traveling companions are lost. The first several chapters of the book are interesting, but not “page turners” so to speak. Once father and dog are lost, the excitement level of the story picks up, and there were several nights when Miss M and I read two, three or even four chapters in our excitement to find out what Adam would discover on the road as he searches for his lost loved ones. Adam is forced to be resourceful and self-sufficient as he travels the English countryside alone. I really appreciated the attention to details on all aspects of Medieval life in this book. Many real places and historical figures are woven into the story. The various characters that Adam meets in his journeys are from all across the social spectrum of the middle ages: nobles, members of the noble household, merchants, men and women of the church, farmers and minstrels less honorable than himself. As I have noticed with several books we’ve read this year, you really could use this book as a springboard for further history studies. As it was, it served as a nice review of this time in history for us. And this doesn’t even represent all of our destinations in the past couple of years! I didn’t always bring my camera, and some trips were not conducive to pictures (like concerts and other performances). Some destinations we visit frequently — like the Minnesota Zoo and the Minnesota Children’s Museum. 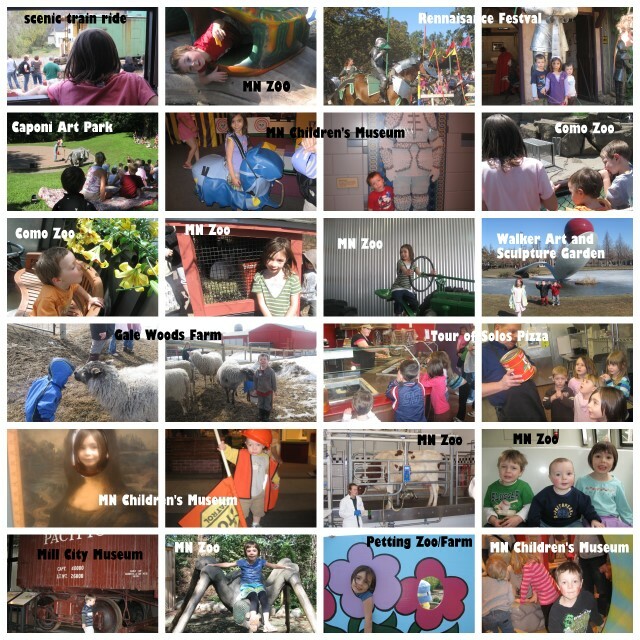 Some destinations we visited on our own (many of the museums we’ve visited), while we have also participated in group activities through our co-op and through a local mailing list that facilitates field trips and other events for homeschoolers. Some trips have really been just for fun, like trips to an indoor play area or a special outdoor playground. Most have been very educational! We’ve learned about history and culture at the Minnesota History Center, the Swedish Institute, the Mill City Museum and various historical sites. We’ve learned about science at the zoo, farms visits, the Physics Force show, the planetarium and an aquarium. We’ve been exposed to arts at orchestra, ballet and theater performances as well as at art museums. We’ve learned about our community with tours of a fire station and a pizza restaurant. Aren’t field trips wonderful? I am so glad to live in an area with so many field trip possibilities…there are many places we haven’t even seen yet! I can’t wait to see what we learn and discover in the future! It was definitely a different sort of “busy” in our lives this week than last week. Last week was full of on-the-go activities. 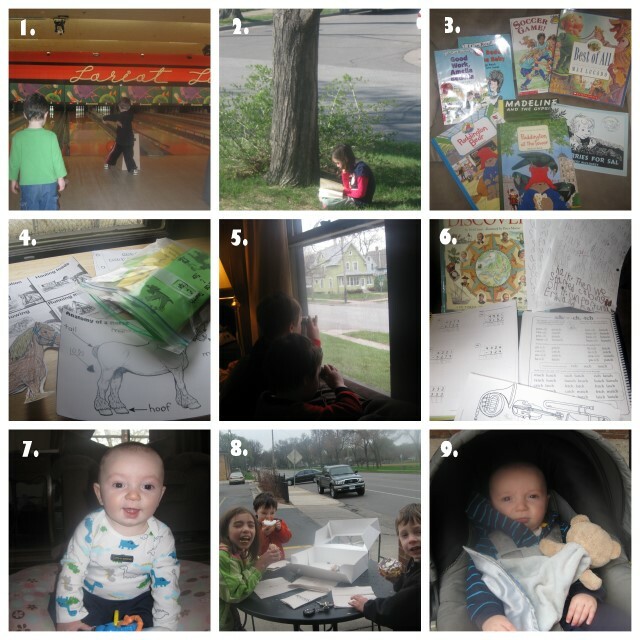 Other than the usual library and grocery store errands and our bi-monthly homeschool co-op meeting, we stayed at home this week. We still weren’t as productive school-wise as some of those winter weeks when there was nothing better to do than stay inside the house. 🙂 That’s really okay though — I don’t have a formal “spring break” planned this year, so we’ll just take advantage of the nice weather as needed. I’m also in the midst of my first quarterly editing deadline since I started this blog. I am an assistant editor for a devotional published by our association of churches. Two of my four deadlines fall during times when we are “in session” for school, and I always find myself a bit distracted during the couple weeks before those two deadlines. We don’t usually take any extra time off from school, but it weighs on my mind (and blogging is a distraction from editing…but that’s another story!). Row #1: We welcomed spring by climbing a tree across the street with neighbor friends (their tree may only be climbed on special occasions) and painting a tree stump that is scheduled for removal. Miss M also built this “fairy house” in the upper right corner. The “first day of spring” rarely feels like spring in MN (last year we still had plenty of snow on the ground), so this year’s weather is a real treat! 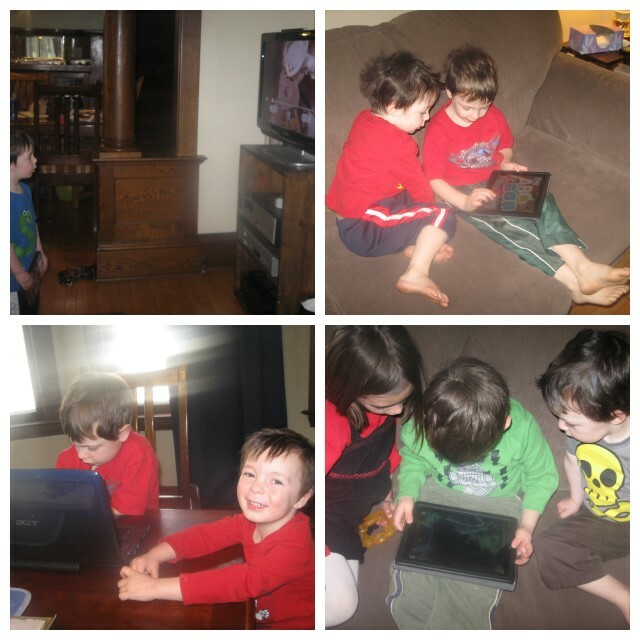 The kids spent a lot of time outside again this week. Row #2: Reading, reading and more reading. Miss M is reading books on horses for her Expert Day project at co-op. She also decided to read the “Pooh” books this week. I had purchased the original “Winnie the Pooh” at a Half Price Books clearance sale, but Miss M showed no interest in it…that is, until her best friend told her how good it was! Then she immediately read the first one, and found the second one at the library. I tried to offer a Phonics lesson (middle picture) to Mr. E every day this week. I think we ended up reading together 3 days this week. I need to be more diligent to find a good time to sit down and do it, since he really is eager to learn to read. In Phonics Pathways, we practiced four letter words with short vowels, as well as adding a “Y” to the end of words. Row #4: In RightStart Math, Miss M and I worked on 2-digit mental subtraction, subtraction on the abacus, as well as a review lesson. I think I am getting the hang of the mental subtraction strategies, which helps me to feel at ease in teaching them to Miss M.
Finally, tomorrow is Mr. E’s 5th birthday! Yea! We had a Star Wars themed birthday party with friends today. Getting our house ready for the party was a definite distraction from school late in the week! He wanted a “Clone Troopers and Battle Droids” cake. The cake in the picture, my friends, is “cake decorating for non-decorators”! I printed out pictures, laminated them, and stuck them in the “mud” (aka chocolate frosting). I’m linking up with Collage Friday @ Homegrown Learners and the Weekly Wrap Up @ Weird Unsocialized Homeschoolers! Weapons of War: We picked this one out due to Mr. E’s sudden interest in the history of weapons. It is a really cool book. Even Tony and I were fascinated with it. This book has a two page spread for each of a variety of historical weapons (like spears, cross bows and early guns). There’s a lot of text on each page, so a typical five year old might get bored, but Mr. E (who turns five this coming Sunday!) would listen to all the text on a couple different weapons in a sitting. If I Were an Astronaut: This is a nice preschool level book that Mr. K asked me to read several times. A lot of books in the children’s non-fiction section still have way too many words for Mr. K’s attention span. This was one of the few in our library’s section on space/astronauts that was a good fit for him. I also liked the fact that this book doesn’t dwell on the now-outdated space shuttle. You Wouldn’t Want to be an Assyrian Soldier: I’m not sure what age group the “You wouldn’t Want to…” series is really aimed at, but my guess is that most fans are older than five. 🙂 Mr E loved this book, asking for it many nights in a row at bedtime, and giggling all the way at how awful army duty might be for an Assyrian (until Tony finally told him he had to pick something else because he had picked it too many times in a row). Mr E was thrilled to learn that not only are there more books in this series, but that several of them are about soldiers. We grabbed three more titles in the series this week at the library! Miss M and I are still enjoying Adam of the Road as our bedtime read-aloud. We are moving through it at a pretty good clip (two nights in a row we got carried away and read 4 chapters each night!). As I read various homeschooling blogs, it is very interesting to see the sorts of “fairs” that homeschoolers participate in. Most of us are, of course, familiar with science fairs. I did a few of those when I was a kid! I also see many homeschoolers participating in fairs I had never heard of before I starting homeschooling – History Fairs, Geography Fairs, Literature fairs and more. Our homeschool co-op takes a unique twist on the “fair” concept with our annual Expert Day. Instead of limiting projects to one subject area, students in grades one through six may choose to become an “expert” on any subject area of their choice. 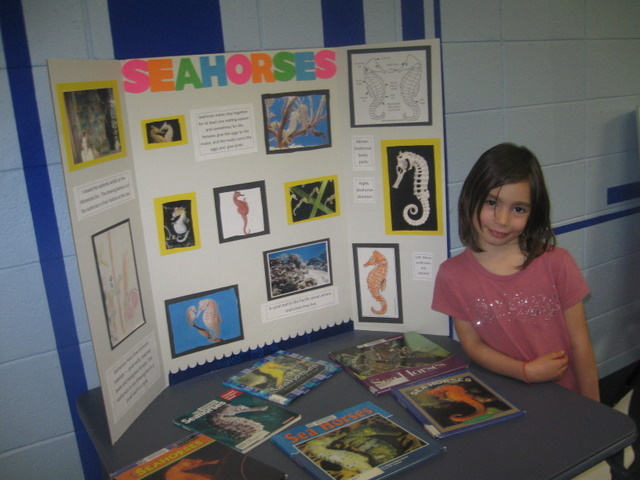 Students often bring projects on favorite animals, historical events, or various hobbies. Instead of all students bringing their projects on the same day, Expert Day happens during our co-op’s “assembly time” (the first 45 minutes of our co-op meeting after announcements) for three co-op meetings in a row. Two grade-levels bring their projects each week, and all students not presenting move around the room in small groups and listen to each “expert” give a three minute presentation on his or her topic. Students are expected to bring some sort of display. Many choose a standard three panel display board, but others just bring props, while a few go high-tech and have a computer or iPad presentation. Miss M’s turn for expert day will be on the 2nd Thursday in April. She actually picked her topic for this year – horses – soon after last year’s expert day! She began a few weeks ago preparing for expert day by working on a horse lapbook. Over the next couple weeks I’ll be helping her find more library and internet resources, narrowing her topic for her oral presentation, and of course we’ll be working on the presentation itself. I usually might wait and see if an app “stands the test of time” as far as how well my kids like it before I would share it here, but I am so impressed with the “Teach Me…” series of apps by 24×7 Digital! I just couldn’t wait to share about these apps! I’ve seen Carisa at 1 plus 1 plus 1 equals 1 mention these apps several times in her posts and in her list of favorite iPad app, so I have been meaning to check them out for a while. There are currently 4 “Teach Me” apps — Toddler, Kindergarten, 1st Grade and 2nd Grade. I purchased Toddler, Kindergarten and 2nd grade for $0.99 each. Trust me, these apps are a bargain. Some apps at this price point offer a few minutes of entertainment, but these apps have a lot of content. Each app presents educational material that gets progressively more difficult as the student advances along with rewards that get more complex with each app. The toddler app covers shapes, colors, numbers and letters — typical toddler and early preschool material. This is right where Mr K is at right now. He knows all his colors and all but the more difficult shapes, but is just beginning to consistently know letters and numbers. The rewards are simply stickers to post on a sticker scene, but Mr. K loves it! The Kindergarten app is starting out almost a bit too easy for Mr. E, but he is enjoying it anyway and is proud that he can ace most questions in an app meant for the “grade level” he technically won’t start until next fall. The Kinder app has basic math operations, with visual cues to help out (problems like 1+2 and 2-0), as well as K-level sight words and basic phonics. The rewards get a step more complex as well, with coins being earned, which can then be spent on stickers. Finally, Miss M tried the 2nd Grade app for the first time today. The 2nd grade app involves spelling, sight words, “speed math” (basic math facts) and “long math” (more difficult multi-digit adding and subtracting). The level is right on for all but the sight word reading (Miss M is an excellent reader — way above grade level). So far the spelling is pretty easy, but she needs all the practice she can get! While the Toddler and Kinder apps involve touching a correct answer from a selection of choices, the 2nd grade app asks the students to write answers using their fingertip (or, I suppose, a stylus would work – we may try that!). It’s a great idea, but sometimes it missed what letter or number Miss M was trying to enter. It’s hard to write neatly with your finger tip! The 2nd grade app has more complex rewards including not just the stickers, but a virtual aquarium, photo booth and more where the “coins” users earn can be spent. I highly recommend this entire series of apps if you are looking for an all purpose, level-appropriate educational app. I’m linking up with Tech Tuesday at Sunflower Schoolhouse!